Have you ever wanted to know where your bike is? How about tracking it down if it’s stolen? 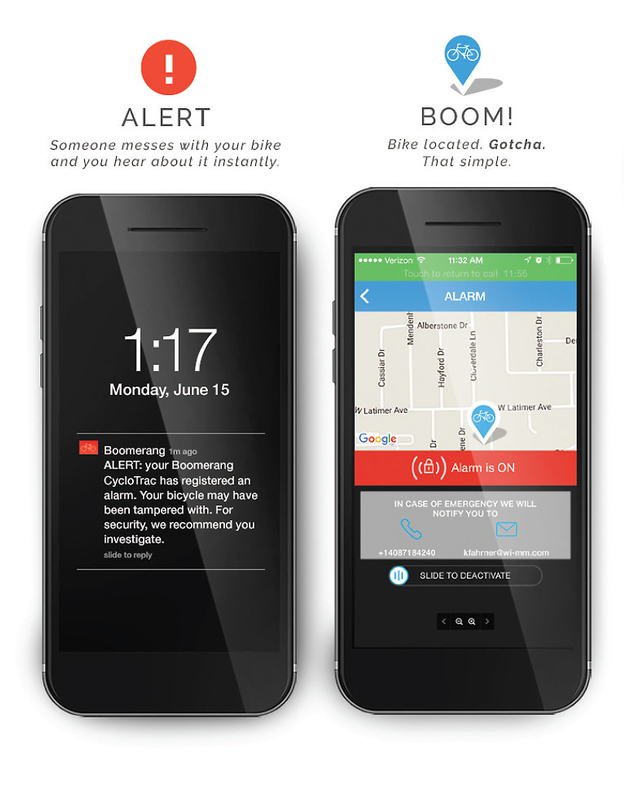 The Boomerang Bike tracker pairs with an app on your phone to send location data in real time. We have a working unit on display at the shop. Come in and see it in operation. 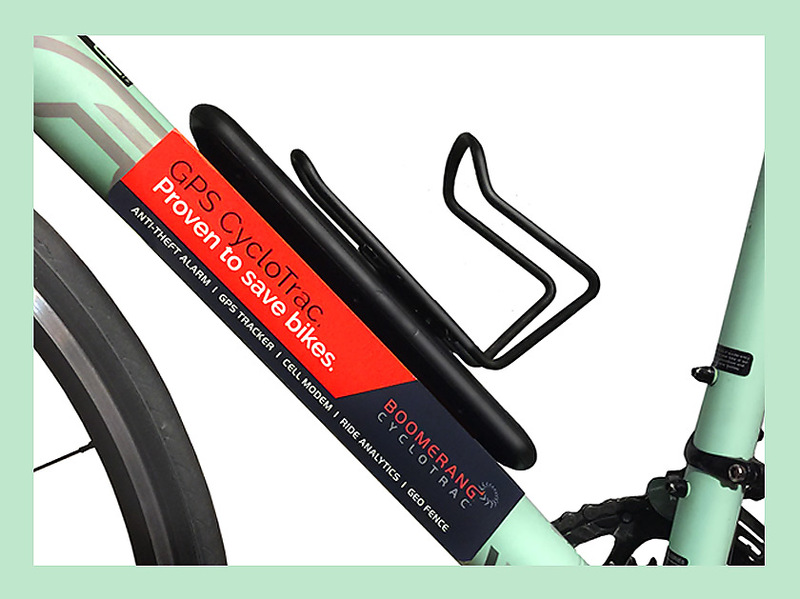 Boomerang CycloTrac is a revolutionary breakthrough in bicycle anti-theft protection. It combines an on board motion-sensing alarm with state of the art GPS technology capable of tracking your bike anywhere there is a cell signal. All in real time. 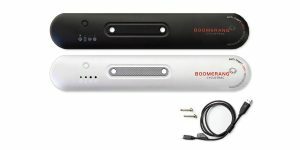 In addition to the peace of mind that comes with all Boomerang anti-theft products, you can also keep track of the way you ride your bike like never before. Want to know your ride distance, elevation, calorie burn and more? It’s all there with an easy to access interface, available on our website. When your bike is disturbed: Anti-Theft motion sensor alarm sounds, a text message is sent to your phone and GPS tracker is activated. Unlike limited range Bluetooth, CycloTrax finds you through cell signal. 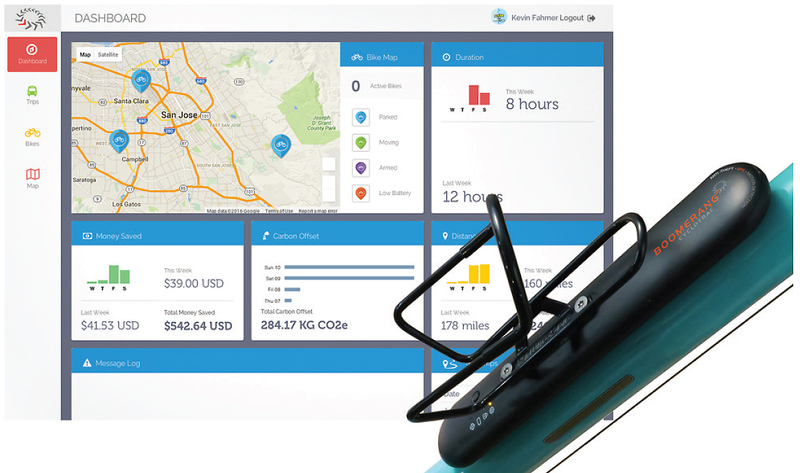 The Boomerang CycloTrac anti-theft GPS is built to last. We understand that your bikes take a beating, and we wanted to make sure that our product would be with you every step of the way. It’s waterproof and stays in place with special mounting hardware. Use Boomerang with a good lock, and double down on your bike protection. Deterrence is half the battle; thieves choose the path of least resistance. I can see the Boomerang being a hit with cargo bikers, e-bikers, or fleets of cargo-bike based businesses. These riders are already used to a lot of weight, their bikes offer a lot more stealthy hiding spots for a Boomerang, and a lot of them already have a “charge station” set up for their rides, so plugging in another device isn’t that big of a deal. Heck, with a little work you can probably charge a Boomerang off of a dyno hub or an ebike battery, which would be a huge plus. dont know if I am your first. My FLX was stolen yesterday. Boomerang was charged up and activated. It sent me a signal, but I was in a meeting and did not have my phone on me . But later when I did look at the phone, it told me where the bike was. My wife drove me there. when we arrived the bike was standing in the middle of the sidewalk. Two policemen had a guy in handcuffs. I could not believe the police were that efficient. Especially since I hadn’t even called them. Turns out the not so bright crook also stole a brand new BMW. He was putting the bike onto the car rack on the car. The cops thought it was suspicious, so they ran the plates and figured out this was a bad guy. anyway, I have my bike back.